One of the world’s leading credit rating agencies, Moody’s Investor Services, has predicted a 2.5 per cent GDP growth for Nigeria in the new year 2017. The agency’s Vice President and lead analyst for Nigeria, Lucie Villa, told Sunday Punch, that Nigeria’s economy would bounce back this year, supported by on ongoing recovery in oil production. The rating agency’s chief said: “the government’s balance sheet is strong, with debt at around 16.6 per cent of Gross Domestic Product in 2016. 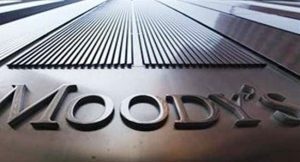 Moody’s, however, said Nigeria’s weak institutional framework, especially in terms of “the rule of law, government effectiveness and control of corruption,” would have a significant impact on its economic growth and fiscal strength, and thereby constrain the country’s b1 rating.